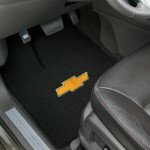 Lloyd Mats newest custom fit floor mat product is available for all car, truck, SUV and van makes and models. Classic Loop is a low, dense, polypropylene yarn construction, that is inherently soil and stain resistant. Now available in eight original factory interior colors with your choice of hundreds of automotive trademark, personalized and lifestyle embroidered designs.